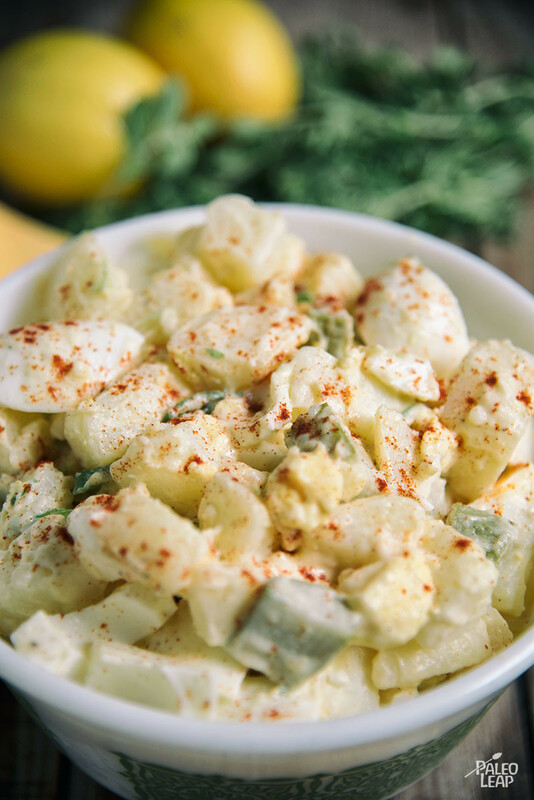 This salad combines two beloved dishes — egg salad and potato salad — to create one creamy, savory dish! The hard-boiled eggs provide protein and healthy fats, while the potatoes add a rich and soft texture for the creamy layer of homemade mayonnaise and seasonings. Boiling potatoes requires a delicate balance: overcooking will cause the potatoes to fall apart, while undercooking makes for a crunchy potato salad. To achieve a a perfectly boiled potato, be sure the potato can be easily pierced with a knife. Even though runny eggs are great for brunch, these eggs need to be hard-boiled, so 10-12 minutes of rolling boiled water will achieve a solid yolk. To speed up the process, you can cook the potatoes and eggs in their separate saucepans over the stove at the same time. 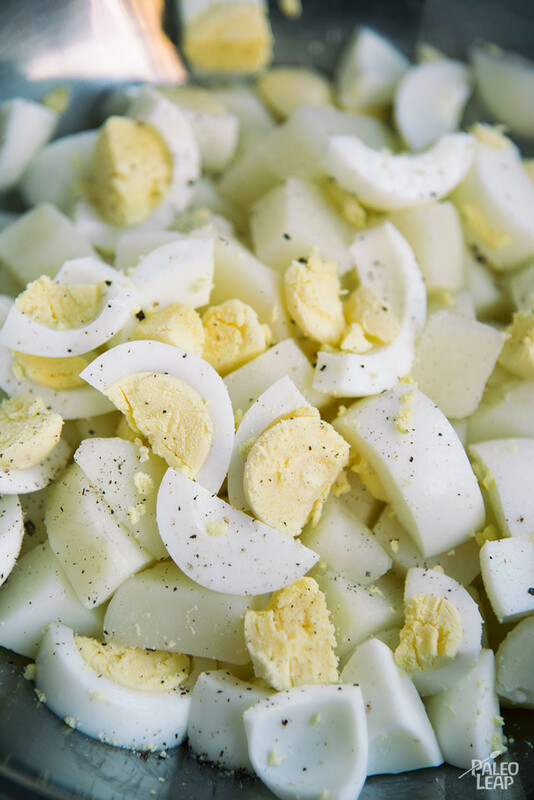 Fold the diced pickles and mayonnaise mixture into the hard-boiled eggs and potatoes and refrigerate until ready to eat. Serve with a bunless burger or grilled chicken for a tasty summer meal. Bring potatoes to a boil in saucepan filled with cold water over high heat. Be sure there’s enough water to cover the potatoes. Cook until done, 10 to 15 minutes. Drain and let cool. Bring another pot of cold water to a boil. Be sure there’s enough water to cover the eggs. Add the eggs to boiling water, reduce the heat to medium, and cook for 10 to 12 minutes. Drain the eggs and run cold water over them. Peel and cut into big chunks. In a small bowl, combine the mayonnaise, Dijon mustard, onion powder, garlic powder and paprika. Stir well and season to taste. In another bowl combine the eggs, potatoes, pickles, and mayonnaise mixture. Toss gently until well combined.